ST. GEORGE — The search for the snowmobiler buried by an avalanche in the La Sal Mountains Friday ended when rescuers found the man dead late Saturday afternoon. After rescuers and emergency personnel from multiple agencies searched for hours, the body was discovered Saturday afternoon in an area just above the Dark Canyon Basin, a branched canyon complex that is part of a wide tract of protected land in southeastern Utah. The body was found buried under several feet of snow approximately 24 hours after the avalanche was reported, said an emergency dispatcher with the San Juan County Sheriff’s Office who requested to be referred to as Blake. “We offer our sincere condolences to the family and friends who are grieving at this time, and express our utmost appreciation for those who work and volunteer so much of their strength and time whenever called upon in times of need,” San Juan County Sheriff’s Office said in a statement. 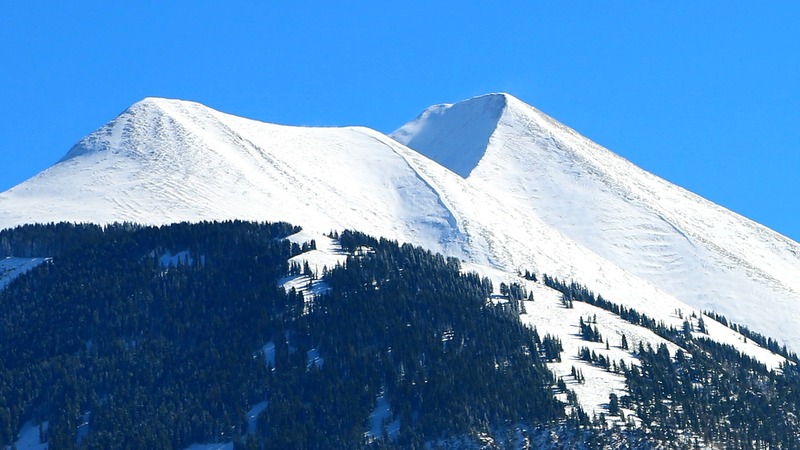 The incident originally began Friday at about 4:30 p.m. when a group of snowmobilers was riding in the La Sal Mountains as the avalanche struck. The resulting snowpack was 65 feet deep in some areas of the slide zone, Blake said. The group searched for their friend until after dark and then called 911 for help, at which time rescuers responded and conducted an initial search until nearly midnight and then returned the following morning to resume the search effort until the body was uncovered. The avalanche was triggered by heavy snowfall and strong winds that created widespread areas of “unstable, wind drifted snow,” an alert released by the Utah Avalanche Center states. Avalanches the size of Friday’s are not typical, but San Juan County Sheriff’s Office still prepares for them, Blake said, adding that the avalanche danger at the time was moderate. Grand County Search and Rescue took part in the search and cautioned anyone traveling through the back country to heed any safety warnings and to be aware of current risk factors and safety precautions listed by the Utah Avalanche Center. The body was removed from the mountain and sent to the medical examiner’s office for an autopsy, Blake said, adding that the investigation into the incident is ongoing and that additional information will be released at a later time. A skier was killed in neighboring Emery County Jan. 18 in a large avalanche that was 500 feet wide and 3 feet deep. 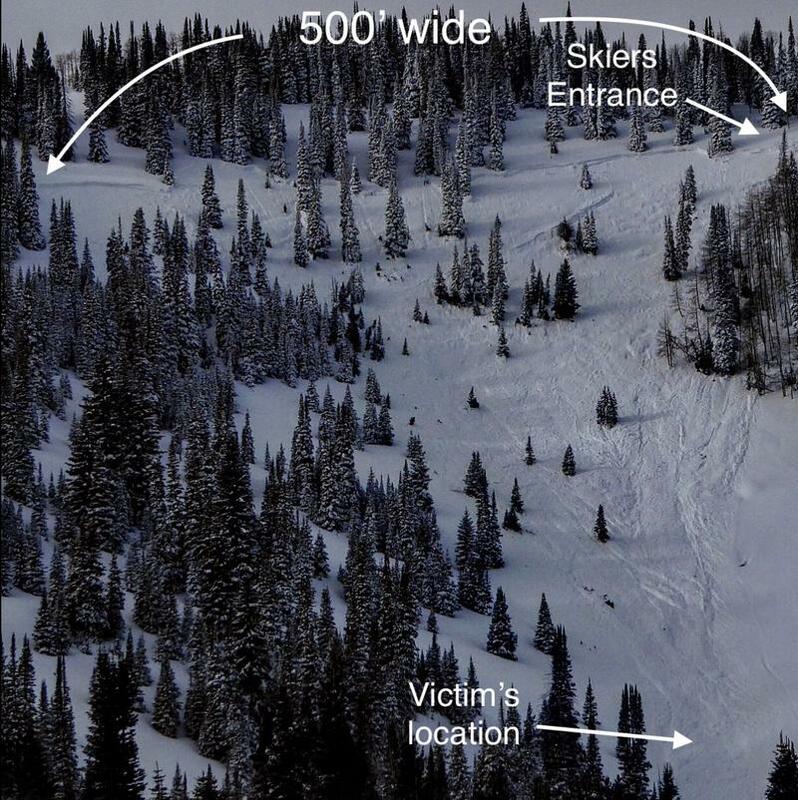 According to a report by the Utah Avalanche Center, it was triggered “unintentionally” by a skier near Electric Lake. At the time, two skiers went down the slope, but when one did not arrive at the bottom, the other skier climbed up a short distance and found the avalanche. After a quick search of the surface turned up nothing, he called for help, and rescue crews arrived and searched until midnight. Rescuers returned early the next morning to resume the search. After several hours, the body was found about 500 feet below the crown of the slope buried in 3 feet of snow. The report also indicated that neither skier was wearing an avalanche transceiver at the time of the incident.